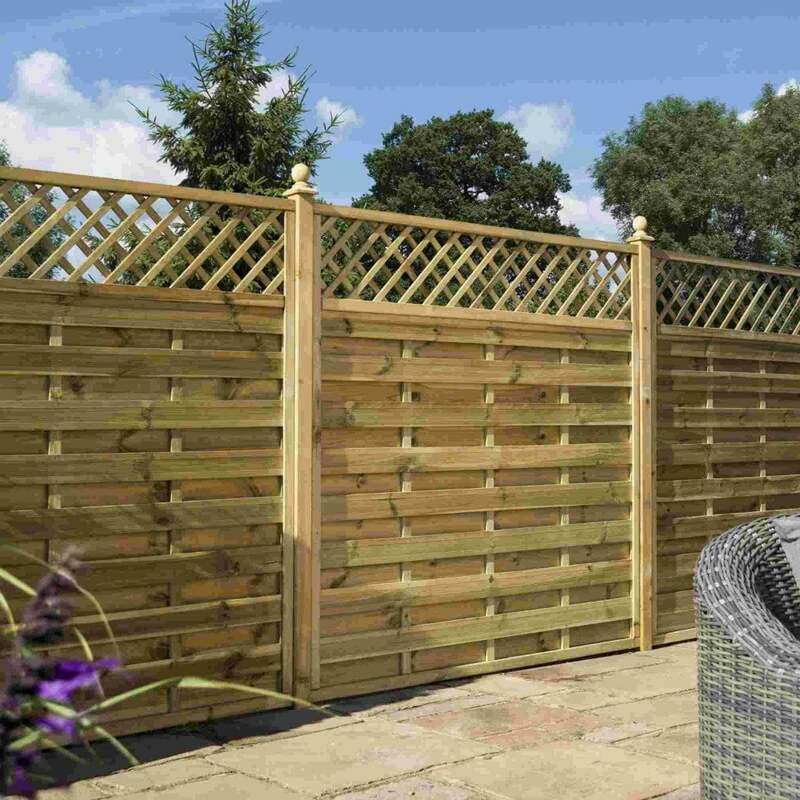 Rowlinson Halkin Screen: The Halkin Screen by Rowlinson is a modern and stylish screen panel with an attractive lattice trellis topper detail which will bring a contemporary edge to your outdoor space. The Rowlinson Screen is available in three heights to suit your preference and is an ideal way to mark out boundaries and to increase privacy. The Halkin Screen is constructed from pressure treated timber with a natural timber finish and comes with a 12 month manufacturer’s guarantee.